While hangers aren’t a serious consideration for many, for petite women choosing the right hangers for your wardrobe can be the difference between misshapen or eternally smart clothing. Hangers aren’t something that can be avoided either, they are an essential part of your wardrobe unless you like crumpled clothes on your floordrobe! They keep your clothes off the floor, make sure you can easily organise your outfits and can even give you that fresh and boutique feeling every time you open your wardrobe. Believe it or not, hangers can result in some pretty serious wardrobe disasters for petite women. 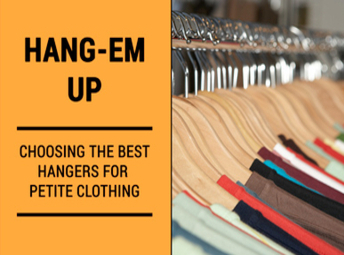 Full-sized hangers when paired with petite clothing don’t sit right on the shoulders. This means that instead of the end of the hanger resting underneath the shoulder and the sleeve hanging down, the petite garment’s arms are stretched over the end of the hanger causing a bump. This bump may not be a problem while your clothes are safely stored in your wardrobe, but you’ll soon find that when you take your petite garment out of the wardrobe to try on, the bump remains in the fabric of the clothing. 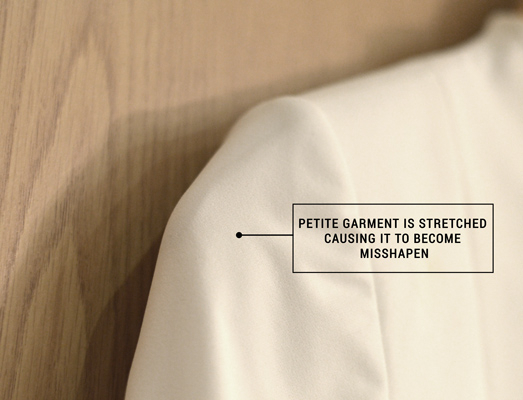 This ultimately ruins the shape of your petite clothing, whether a top, blouse or blazer. The solution isn’t always as simple as picking up some children’s sized hangers either. Children’s hangers aren’t fitted to accommodate to the shape of adult shoulders - petite women still have an adult frame even though it may be scaled down a little. Hanging your garment on a Juniors hanger can have the complete opposite effect to hanging them on a full sized hanger - instead of supporting the shoulders, the shoulder material sags off the end of the hanger meaning the shape can be lost during long-term storage, particularly if the garment has a strong shoulder shape such as a blazer. 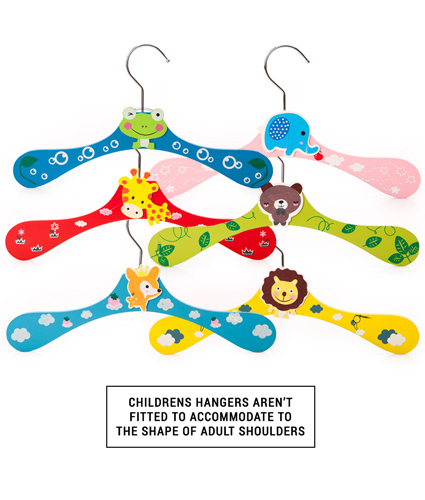 Children’s hangers may work for some, however we at Jeetly recommend that you invest in some petite hangers, specifically suited to the petite frame. While there’s perhaps only an inch difference between a petite and a children’s hanger, the difference in the appearance and longevity of your petite clothing can be huge. You can also customise your hanger to suit each garment, for example, if you’ve been using a full sized hanger on a silk garment so it won’t slip off, retain the shape by using a petite hanger with some velvet strips wrapped around the top. The perfect, petite solution for hanging your clothes properly!